This has led to a strong demand for graphics cards, which is affecting stock availability. South Africa is not exempt from this, and the quantity of graphics cards coming into the country is not enough to meet the demand. Memory shortages have also reduced the amount of GPUs being produced by manufacturers, compounding the problem. From the first week of January, it has been almost impossible to purchase certain graphics cards, due to their popularity among cryptocurrency miners. Online retailers currently list no stock of many popular cards, from the Radeon RX 570 and RX 580, to the Nvidia GeForce GTX 1070 and GTX 1060. Many of these cards are being snapped up by miners, with big profits to be gained from mining cryptocurrencies like Ethereum. YouTuber JayzTwoCents describes the problem of cryptocurrency mining and how it affects PC gamers in the video below. To see how high the demand for graphics cards is in South Africa, and how constrained supply is, MyBroadband spoke to online retailers Wootware and Raru. The two stores are popular among local PC gamers and miners, due to their range of PC components. Wootware told MyBroadband there have been multiple resurgences in demand for graphics cards for crypto mining, the most recent of which was during the December-January period. “As the total market cap of GPU-mineable cryptocurrencies has risen faster than the total compute-power allocated towards mining these cryptocurrencies, this has caused a surge in demand and a subsequent shortage of these models,” said Wootware. Wootware is restocking on a continual basis and updating its online store as soon as it secures new stock. Raru’s Electronics Category Manager Colin van Zyl said that while demand from crypto miners has increased, the current card shortage is mainly due to two factors. “Due to the festive season, suppliers typically do not order stock from the middle of December as they close for a time,” he said. Van Zyl said global memory shortages have also reduced the production of graphics cards and suppliers are only ordering a small number of units at a time. The backorder list for Radeon RX 580 cards – a favourite among crypto miners – is lower than its peak last year, but van Zyl said stock issues are causing problems in the market. 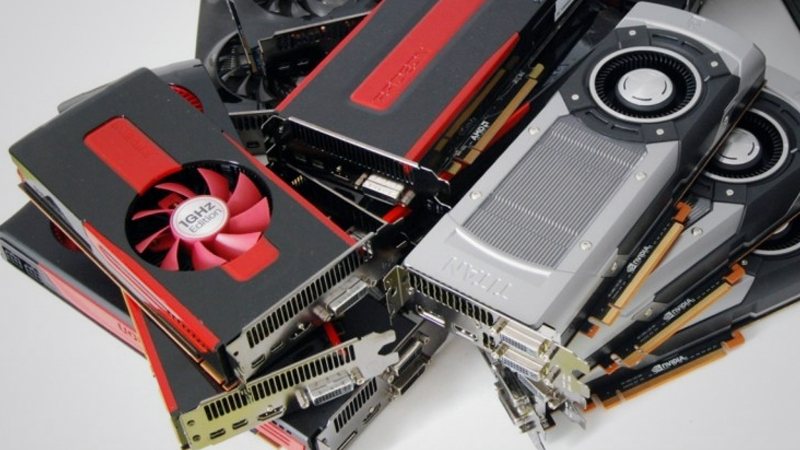 Cryptocurrency miners who contact Raru in search of more cards are purchasing GPUs for specific coins, and favour the GeForce GTX 1070, he said.